Members of the CHBA believe and affirm that Home Ownership can and should be within the reach of every American family. And that every American home should be well designed, well constructed and well located in attractive communities, with educational, recreational, religious and shopping facilities easily accessible. American homes should be built under the free enterprise system of America. 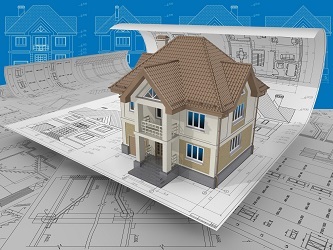 As members of this progressive industry, we encourage research and development of new materials, building techniques, building equipment and improved methods of home financing, assuring every new homeowner gets the greatest value possible for their dollar. We vigorously support all sound legislative proposals affecting our industry and the people we serve. We hold inviolate the “free enterprise” system and the American way of life. We pledge support to our local association, our state association (NSHBA) and our national association (NAHB) and all related industries concerned with preservation of legitimate rights and freedoms. We assume responsibility freely and solemnly, mindful that they are part of our obligation as members of CHBA. The Columbus Home Builders Association is here to help anyone who owns a home or wants to own a home in the area as well as the builders, contractors, retailers, and other service providers who support them. If you have a question about our association, the community or our members we are eager to assist you. Please use the form on this page to reach out to us and we will get back to you as soon as possible.